My teenage niece always looks so effortlessly cool that I HAD to include her in my look of the day. 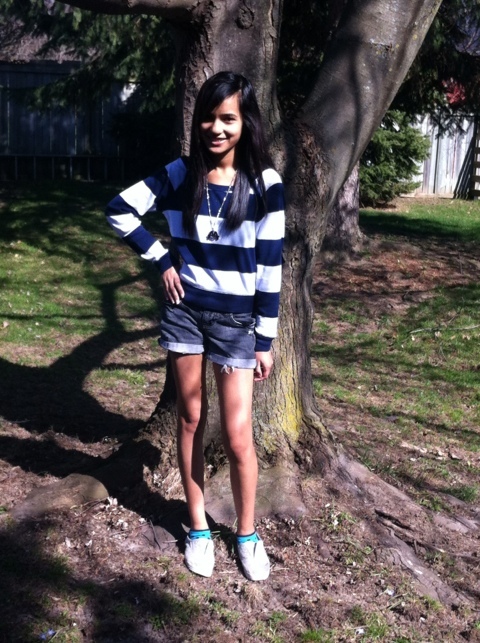 This outfit is looks young and carefree yet it fits both a teen’s and parent’s budget. This entry was posted in fashion and tagged Fashion by shwetasays. Bookmark the permalink. Your niece must get her style sense from you. Keep up the great work Shweta.